Pro-Tek was formed from humble beginnings in 1982 in Mirabel, Québec. Small amounts of tools and equipment from outside of Canada were imported to start the company. Pro-Tek quickly found a niche in the paint and bodyshop equipment market. By 1984 Pro-Tek was a national supplier. In 1985, larger facilities were needed and Pro-Tek moved to Dorval, Québec. Pro-Tek moved to larger facilities again in 1988 and 1993. During these years Pro-Tek concentrated on establishing our own brand name, relying less and less on other company brand tools. Quality tools and paint guns at very attractive prices, good service and prompt delivery were keys to growth of Pro-Tek products. 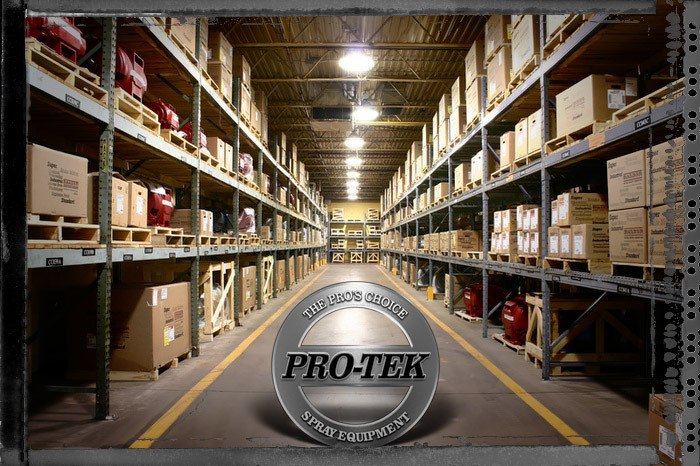 The year 2000 was a turning point for Pro-Tek when our own 19 000 square foot building was purchased in Longueuil, Quebec. In 2005 we added on another 6 000 square feet to bring the square footage to 25 000. The space allowed Pro-Tek to enter the international market where more and more customers saw the value and quality of Pro-Tek products and are now sold in over 65 countries worldwide. Pro-Tek is entering our second 35 years as specialist in the paint and body shop equipment market. We are ready to once again attain the level of service and product introductions that created the growth through our first 50 years. We thank all of our customers and value your business. It is only our customers who have made all of this possible.